We happen to say, "What a time to be alive" rather often nowadays. But what about the 1960s? There was Vietnam and all the craziness that went along with that. There was a whole lot of rock n' roll, and all the partying that goes along with that. There was also a little pop culture explosion that had to do with... yep, you guessed it: hippies! This sociopolitical and pop culture climate would truly have warranted the comment, "what a time to be alive." 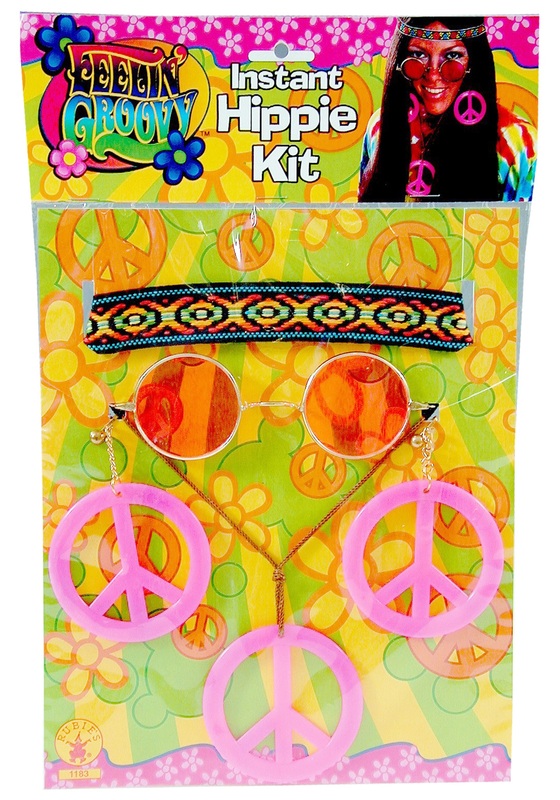 And we can help you recreate some of that experience with this Women's 1960s Accessory Kit. We can't put together a Grateful Dead concert, or organize a civil rights march, but we sure can dress you for the part of a far-out hippie! Who knows, maybe in your new garb, you can do some of that organizing yourself. But we wouldn't blame you if you just wanted to get out on the dance floor and bust a groovy move or two.